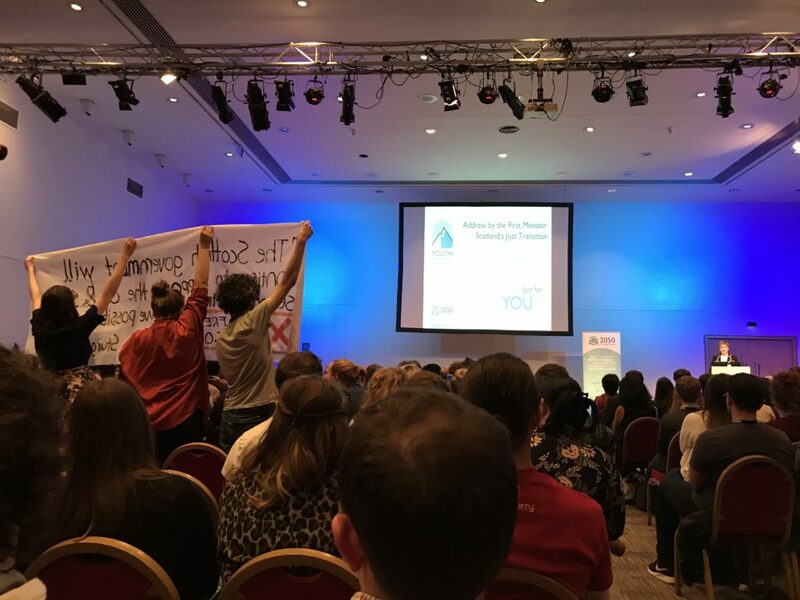 Protesters unfurl a banner interupting Sturgeon’s keynote speech at Saturday’s Youth Climate Summit. Photo: Fossil Free Glasgow. Nicola Sturgeon has repeatedly claimed that Scotland is a world leader on climate change, but has never reconciled that view with her staunch support for Scotland’s oil industry. That came back to bite her on Saturday as protesters interrupted a climate change speech in Glasgow. 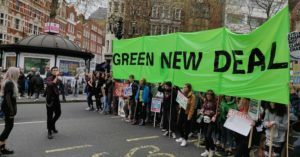 Sturgeon was telling an audience of young people that “climate change is the biggest moral, social and economic issue that we face today”, stressing the need for “urgent action” to pioneer a low carbon age. Event organisers the ‘2050 Climate Group’ moved quickly to remove the banner. The First Minister’s has repeatedly emphasised the need to maximise North Sea oil production. 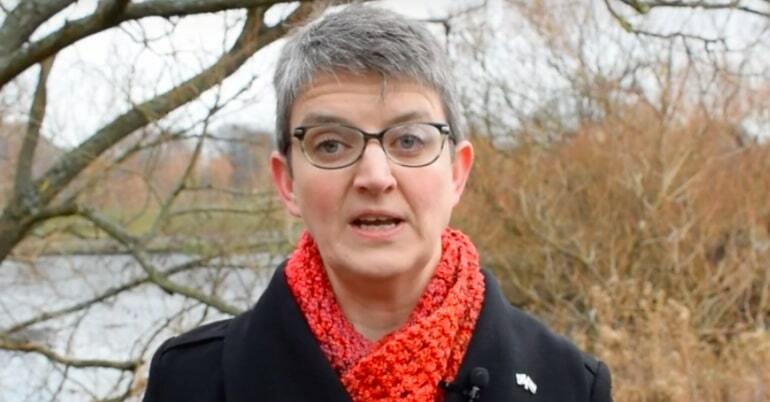 In 2017 she said the Scottish Government was spending £43 million on supporting the industry and that 20 billion barrels of oil should be extracted from Scotland – the carbon emissions of this burning this much oil would be more than the annual emissions of Europe and the USA combined. Apparently responding to the protesters Sturgeon later said “we should be proud of what Scotland is already doing” and to not “lose sight of the people who are on your side”. 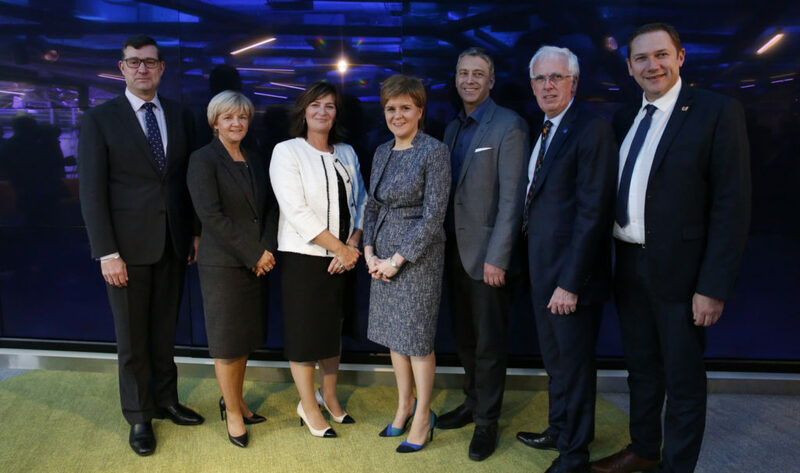 Nicola Sturgeon (centre), Aberdeen Council representatives and Shell Director Steve Phimister (first on left) celebrate the opening of a new Innovation Hub at the Oil & Gas Technology Centre, 2017. Photo: Scottish Government. 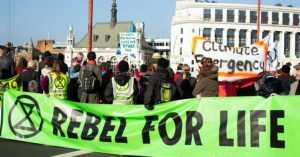 The protest was organised by Fossil Free Glasgow, a group calling for action against fossil fuels, including divestment of a multi-billion pension fund run by Glasgow City Council. The Fossil Free Glasgow campaign is riding high after recently gaining the backing of all of Glasgow’s 7 MPs for divestment of the Westminster Parliament pension fund. First Minister Nicola Sturgeon has in the past been opposed to fossil fuel divestment on the grounds that undermining the oil and gas industry would be unhelpful at a time when it needs government’s support. This article was corrected on 30 April to make clear that Louise McKeever was not acting as part of Young Friends of the Earth Scotland.